This resistor bracelet has 37 tiny 1/8 watt resistors that are RoHS compliant. 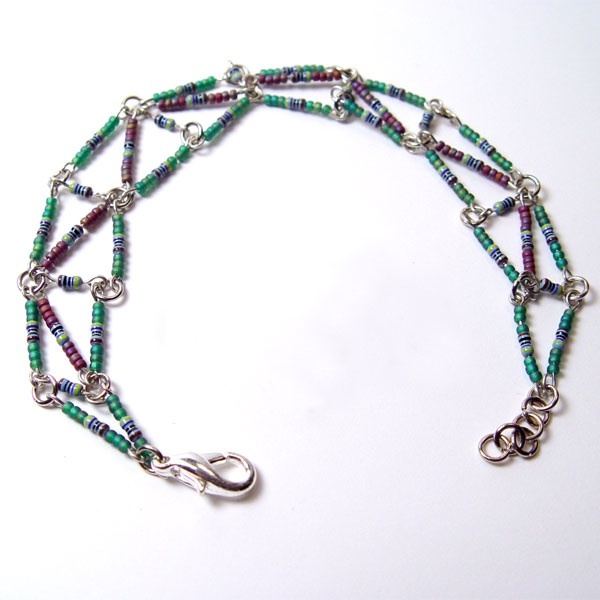 (No lead) The matte green and maroon seed beads make up the rest of the design. This bracelet is 7" long and has a 1/2" chain extension.